A visually stunning and entertaining portrait of two dogs unhappy that a fox has been tethered to their kennel. The Springer looks on bemused and the larger dog lets off steam. 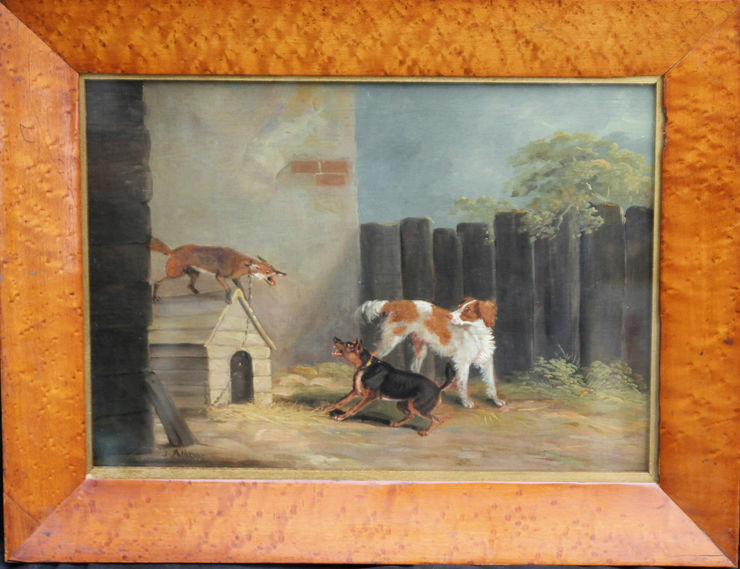 Signed lower right by Samuel Alken, the painting is by this most famous of sporting artists of the Alken family and was painted circa 1820. It is in superb condition with excellent provenance. A real gem of a painting with beautiful colour. The Parker Gallery. Christie’s London. Housed in a fine maple frame 18 inches by 14 inches. Good condition. 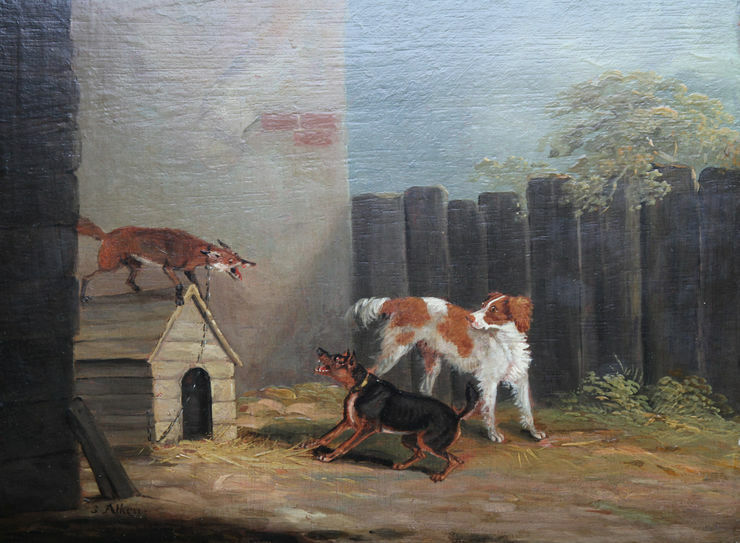 Samuel Alken junior (1784-1825) was a sporting artist. Alken has had several gallery and museum exhibitions, including at the Galerie Kleindienst. Many works by the artist have been sold at auction, including 'Leaving the Kennel' and 'Full Cry' sold at Christie's New York. The artist died Circa 1825.